It does not matter how well you do the maintenance of your air conditioner it will face certain problems from time to time. Some of the problems can be solved manually while some of the problems must be repaired by the HVAC professional. An air conditioner unit operates for 10-15 years on an average. Even if your unit is newer it might face some of the problems. When you start your unit for the first time in summer months and it does not turn on. There is a chance that your thermostat may not be programmed properly your AC unit is not able to receive signals. If air conditioner is not able to reach the set temperature it might be because of lack of air flow inside the system. 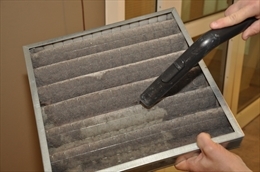 dirty filters, dirty coils or damages ducts result in lack of air flow inside the system. Refrigerant is a fluid which is used to cool the air inside the system. If your system is low on refrigerant it would only be because of refrigerant leak. Adding the refrigerant to the system is not the solution call a professional to find out the leak and seal it. If you have bought a new unit and is turning on and off frequently, it would not be of proper size. If the air conditioner is too large it cools the room quickly without dehumidifying the room properly it results in frequent on/off cycle. 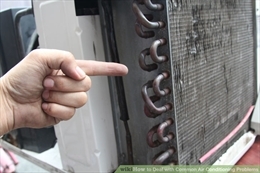 Frozen outside unit of the system is one of the most common HVAC problems. If outside unit is frozen then air flow will stop inside the unit. This problem arises due to lack of air flow, low refrigerant or damaged blower motor. Many people complaint about weird noises coming out of the system. It might be because of loose screw or nuts. If you hear loud noises it might be because of broken component inside the system. In the humid temperature make sure that your drain line is properly placed and not clogged. These are most of the common HVAC problems however these problems can be reduced by yearly maintenance of the system. However you cannot prevent your system from all the problems.